Reliance Industries Limited held its Annual General Meeting (AGM) in Mumbai today. 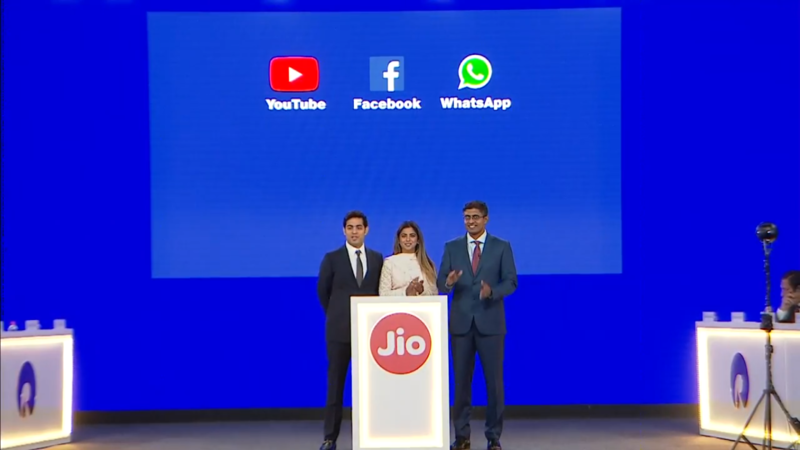 The Mukesh Ambani-led company made several new announcements at the event including the JioPhone 2. The new feature phone comes with some new features and it will be available starting from August 15. The new JioPhone 2 is the successor to last year’s JioPhone and has several improvements over it. Notably, the new phone will have support for dual SIM cards, WhatsApp, YouTube and Facebook. The JioPhone 2 is priced at Rs. 2,999, unlike the effectively free JioPhone. Know here all the details about new JioPhone 2. Question: How is the design and display of the JioPhone 2? Answer: The JioPhone 2 comes with a 2.4-inch QVGA display. It has a BlackBerry-like design with horizontal rectangular shape and a QWERTY keypad with 4-way navigation key. Question: Does the JioPhone 2 support WhatsApp? Answer: Yes, the JioPhone 2 will support WhatsApp. 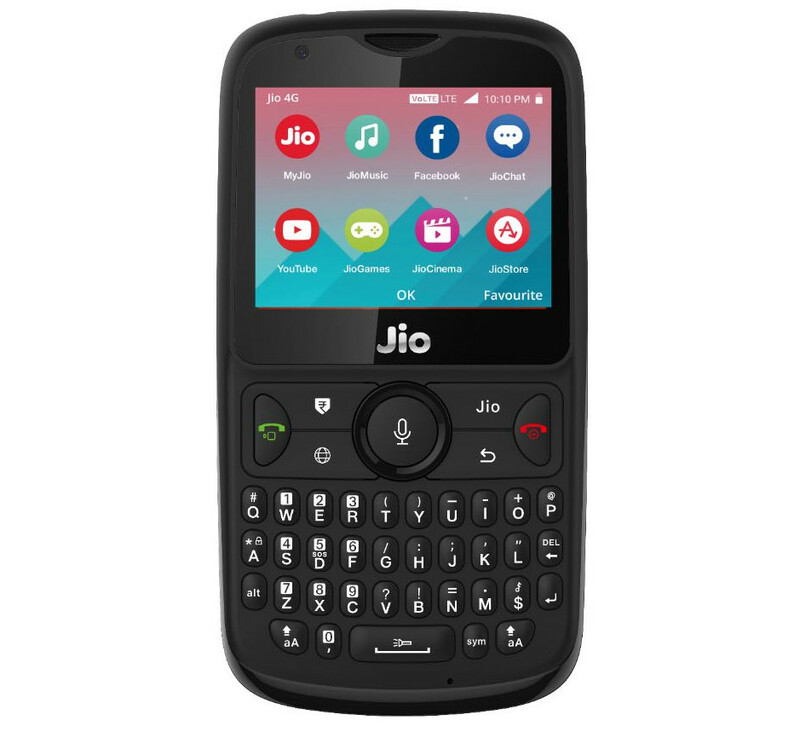 Question: What apps can be used in JioPhone 2? Answer: The phone is pre-installed with Jio apps. Also, there are other apps that can be installed on the device via MyJio app store. Moreover, the company also announced the support for Facebook and YouTube as well. Question: Can the JioPhone 2 be used as a hotspot? Answer: No, you cannot use the JioPhone 2 as a hotspot. However, you get Wi-Fi functionality in the feature phone. Question: Can I put any SIM in the JioPhone 2? Answer: You can not use any other operator’s SIM in JioPhone 2. You can only use Jio SIM cards. Question: Does the JioPhone 2 feature dual SIM support? Answer: Yes, the JioPhone 2 comes with dual SIM support which is compatible with Reliance Jio SIM cards only. Question: Can someone use old Jio SIM cards? Answer: Yes, the previously purchased Jio SIM cards can be used in the JioPhone 2. Question: What are the camera features of the JioPhone 2? Answer: The feature phone features a 2MP camera at the rear and a VGA camera at the front. The cameras might not offer high image quality, however, it could be decent for a phone of this range. Question: Does the JioPhone 2 have Bluetooth support? Answer: Yes, the phone comes with support for Bluetooth. Question: Does the JioPhone 2 comes with GPS? Answer: Yes, the JioPhone 2 comes with GPS support. Question: Which voice assistant does JioPhone 2 have? Answer: The JioPhone 2 comes with a voice assistant developed by Reliance Jio. Question: What is the processor used in JioPhone 2? Answer: The JioPhone 2 is powered by a 1.2GHz SPRD 9820A Dual Core Processor. Question: How much RAM and internal storage is available with JioPhone 2? Answer: The JioPhone 2 comes with 512MB RAM and 4GB internal storage. Question: Is the internal storage expandable in JioPhone 2? Answer: Yes, the internal storage is expandable up to 128GB via microSD. Question: How much is the price of JioPhone 2? Answer: The JioPhone 2 is priced at Rs. 2,999. Question: When will the JioPhone 2 be available? Answer: The JioPhone 2 will be available from August 15. Question: What is JioPhone Monsoon Hungama Offer? Answer: The company announced JioPhone Monsoon Hungama offer that allows users to exchange their feature phones for the new JioPhone 2 for just for Rs. 501. This offer will start on July 21. 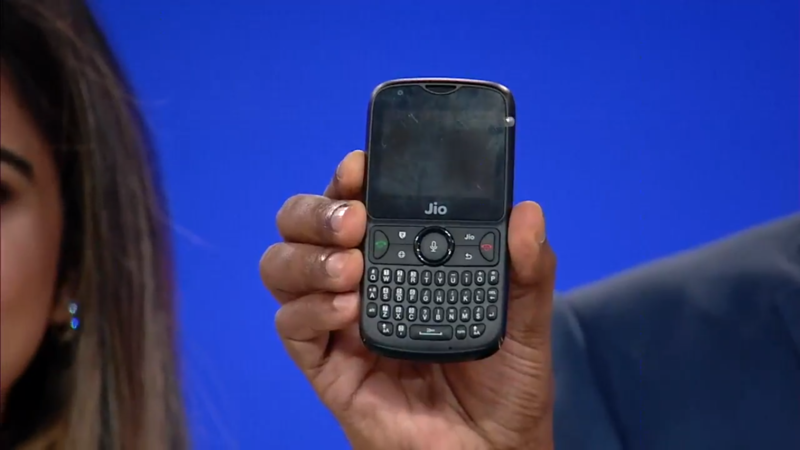 The new JioPhone 2 is targeted at new users who want to purchase a 4G phone at an affordable price tag. However, it is nowhere different than the previous version of JioPhone but still priced higher than that. What do you think of new JioPhone 2? Tell us in comments below!